Race and ethnicity, is an issue that parents of children who were adopted internationally face daily. Often it is very obvious to children who are adopted that they do not look like the rest of their family and they may struggle with forming their individual identity. Families who have adopted internationally may receive stares or rude comments while out in public and adoption education becomes a regular routine. It is helpful for families to have open communication with their children about race and ethnicity. Here are a few children’s books that address race and diversity. This book is great for any child between the ages of 4 – 8. 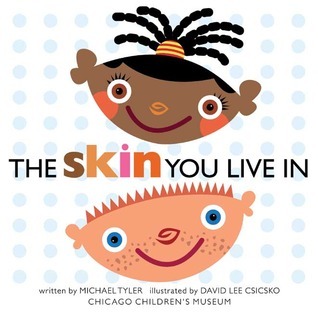 It delivers a powerful message about diversity with a fun playful rhythm that encourages children to "look at their skin" and the skin of other’s to see the different shades and colors skin comes in. The illustrations are bright and depict children of different ethnicities. The book begins by listing all of the activities we can do in our skin. Then it goes on to describe the different colors that skin comes in by describing the colors of deserts and treats like, “your chocolate chip, double dip sundae supreme skin!” The rest of the book shows the reader that skin color does not determine acceptance, happiness, success, intelligence, physique, or superiority. The message is that no skin is the same, "we are special and different, but just the same (on the inside), too." This book is written for children who were adopted between the ages of 2-5. Each page discusses the physical differences between child and parents and how even though others may notice these differences there are many other ways that a family can have things in common. It is very uplifting and encourages individuality and belonging as something special within a family unit. The message that is conveyed is about inheriting mannerism, idiosyncrasies, and love from adoptive parents instead of physical characteristics. It shows the importance of belonging and how despite your characteristics, a child can belong to a family and embrace other factors that makes their family special. "In our hearts, we are the same." 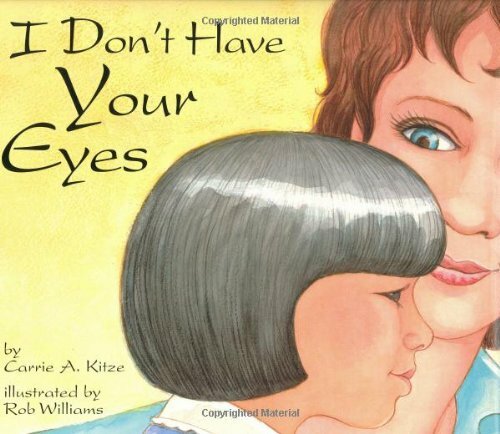 This book focuses on the commonality between children and their parents despite physical differences. 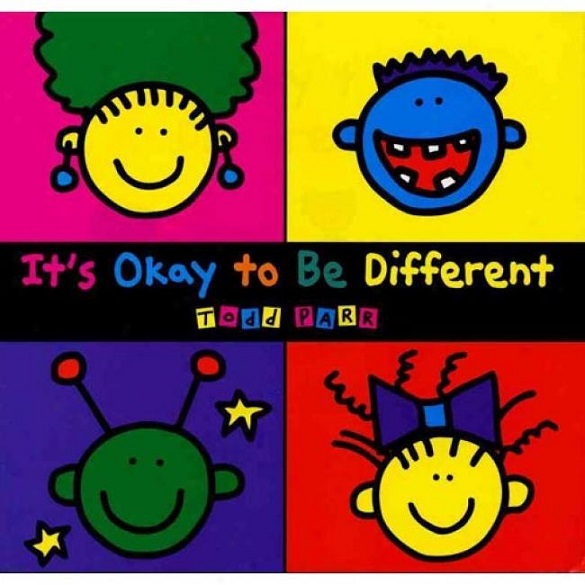 “It’s Okay to Be Different” is a bright and colorful book about diversity that is targeted toward young, preschool age children. The book uses simple statements such as, “It’s okay to be a different color,” or “It’s ok to have big ears.” It gives examples of things that children might not normally feel are acceptable, such as being different, coming in last, have big ears and states simply that those things are ok. On one page it says, “It’s okay to come from a different place” and has a picture of an alien, which makes it less therapeutic for children who are adopted. Feeling like an alien is rarely a positive thing. The last page states, “It’s Okay to be different. You are special and important just because of being who you are.” The message is overall positive and states simply that differences are okay, although there is no explanation for why this is so. This book may promote conversation and allow parents to explain further and embrace their child’s differences. All of these books provide parents with great opportunity to talk with their children about race and diversity and educate them early. It is important that children recognize their differences and celebrate their individuality. These are just a few of the children’s books about race and diversity that are available and I encourage you to look for other books and different ways to celebrate your child’s uniqueness.